One year ago I shared my first post on my own Baume et Mercier Capeland, so I thought it proper for the one year anniversary of How to be Swell I would again write about a Baume Mercier Capeland, only this time one that unfortunately isn’t in my personal collection. The Capeland flyback chronograph was part of their re design the year before last. The flyback is at the top of the Capeland series that was redesigned to a more classic shape and dial design harkening back to the gilded age of horology. 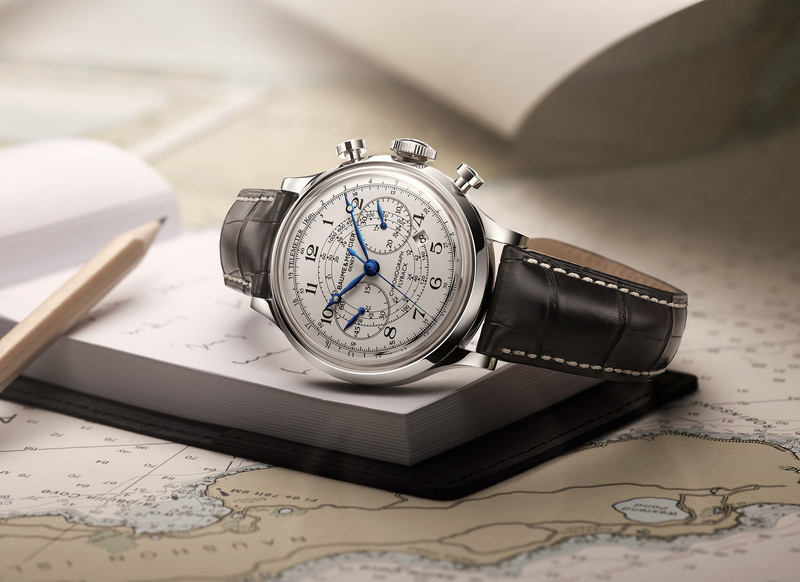 Baume & Mercier describes it as: The sport-chic Capeland epitomizes a relaxed lifestyle and strength of character. This charismatic series resolutely embodies shapes, colors and authentic functions that uniquely represent the brand’s universe of seaside living at its best.